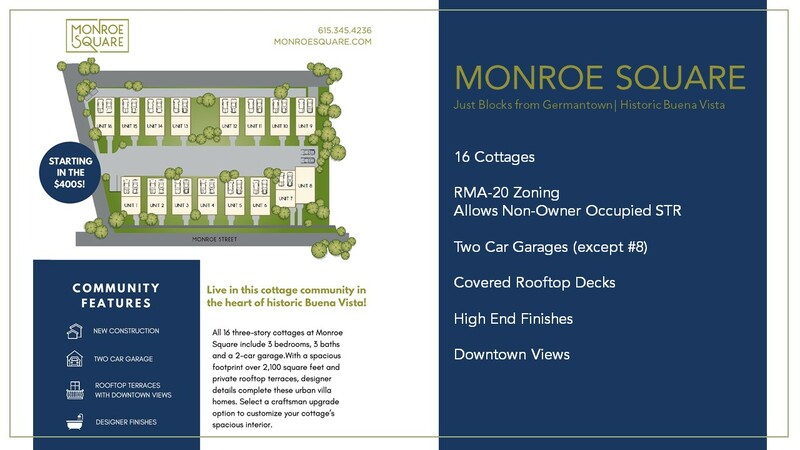 Monroe Square offers 16 cottages with rooftop terraces overlooking downtown Nashville. 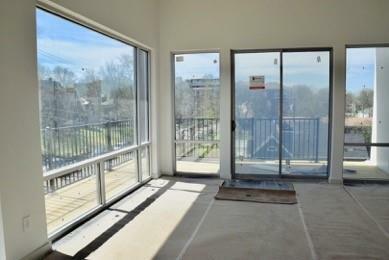 Beautiful hardwoods cover these triple level homes, complete with high-end finishes and overflowing with natural light. RMA-20 zoning allows for non-owner occupied short-term rentals (STRP). The Metro Development and Housing Agency Design Review Committee on Tuesday approved the site plan and exterior design for a multi-story retail and residential building slated for North Nashville’s Historic Buena Vista. In addition, the MDHA committee deferred voting on the site plan for MarketStreet Enterprises’ five-story neo-traditional mixed-use building to be located at 329 11th Ave. S. in The Gulch. 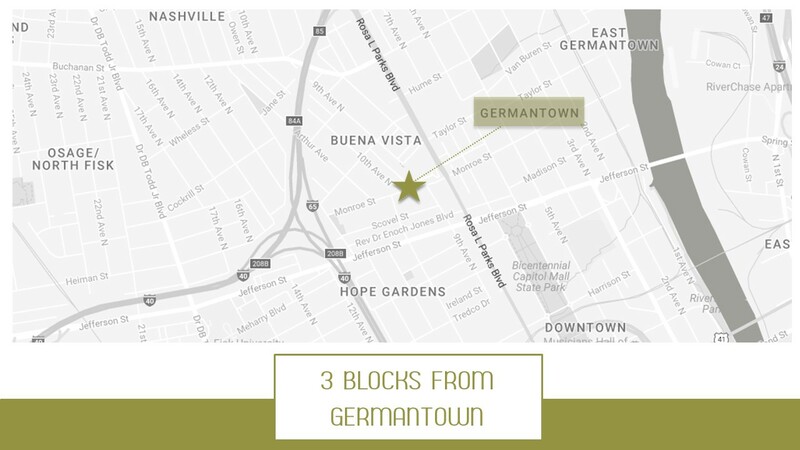 Regarding the Buena Vista project, Nashville-based Cottingham Capital Partners hopes to break ground on Ludlow Flats in November. The building would front 10th Avenue north and also address Scovel Street on the north and Rev. Dr. Enoch Jones Boulevard on the south. Across Scovel sits Cottingham’s Ludlow Row, an $11.9 million project to offer 30 townhomes. Veteran local developers Michael Young (who founded Cottingham) and Derek Lisle (who founded Place Development) are partnering on the development of Ludlow Flats, which will offer 68 units and a restaurant space. The project is expected to carry a roughly $19 million price tag. As to orientation, the building will rise five stories at 10th and along segments of Jones and Scovel. It will scale back to three floors on Scovel. A small surface parking lot will address Jones. Young and Lisle are having the building designed to offer a 3,500 to 4,000-square-foot restaurant space at the corner of 10th and Jones and the office/lobby space at the corner of 10th and Scovel. Cottingham has enlisted Nashville-based Southeast Venture for architectural work. 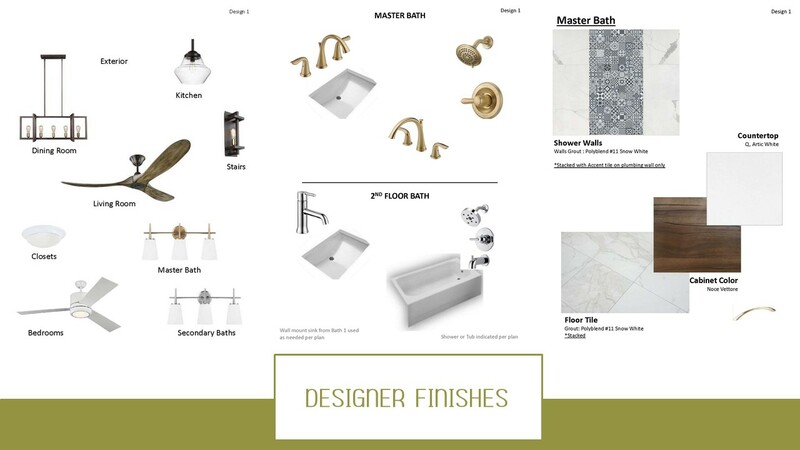 A detailed rendering is forthcoming. 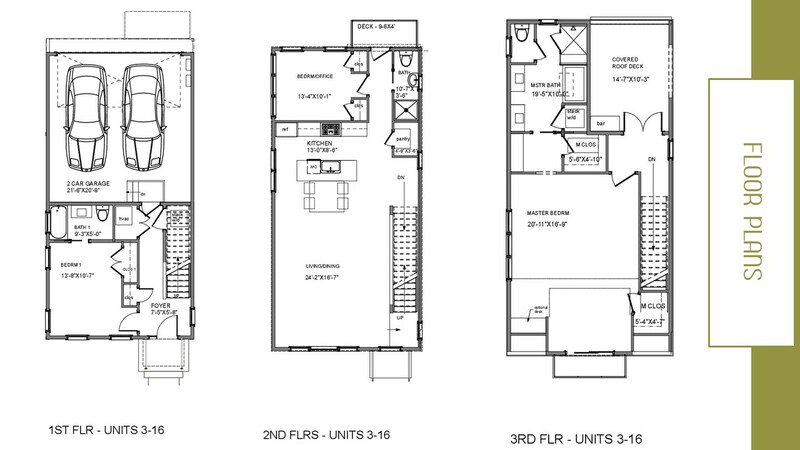 The property sits within MDHA’s Phillips Jackson Redevelopment District and, as such, required committee approval.